Back to school is quickly approaching, and just this morning the reality set in that school starts September 6th here in New England. I still have to buy uniforms, back packs, school supplies, and more! I am admittedly not on my back to school game this year. It is a bitter sweet school year because my little boy starts kindergarten. I am going to miss my little partner in crime. Speaking of my little man, he is one picky little eater! My son almost judges food by its looks and will not touch anything he does not find visually appealing. I am/was dreading the back to school lunch packing because I don’t know what he will like by the time September rolls around. 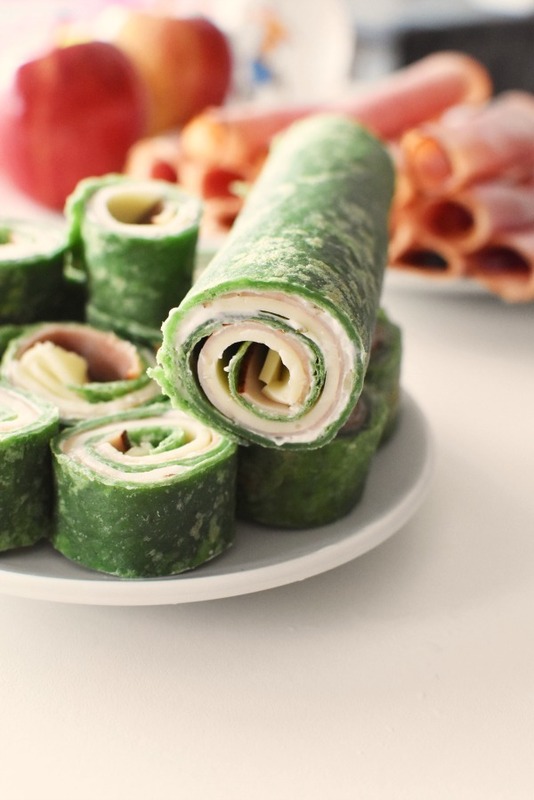 I do know he is currently loving these Savory Ham & Cheese Pinwheels, so that is a plus. 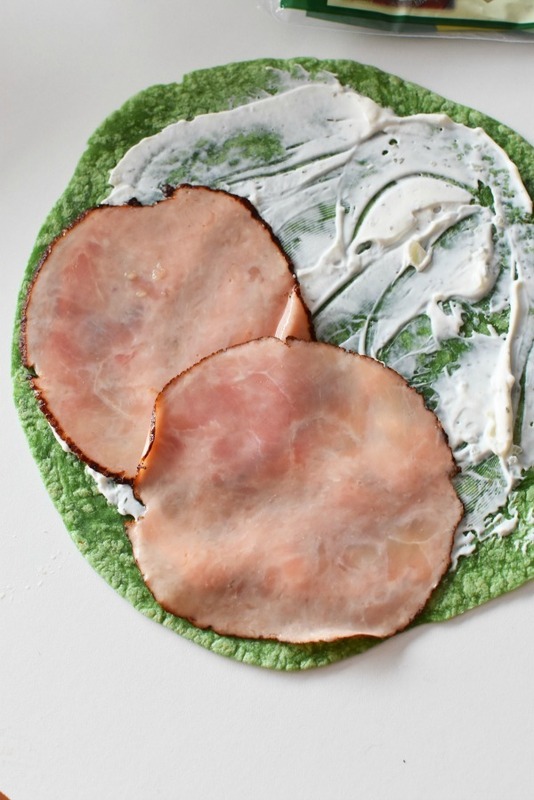 Made with Eckrich Deli Meats Ham Off the Bone, or Eckrich Deli Meats Virginia Brand Ham, American Cheese, Spinach Wraps, and french onion dip, these savory little pinwheels are amazing! 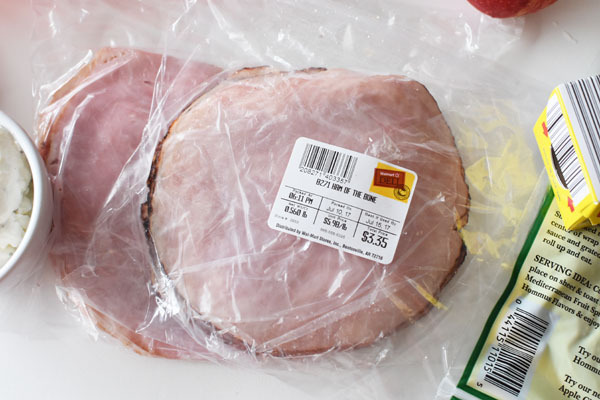 Available at Walmart, Eckrich Deli Meats Ham, is best-selling, and specially trimmed for consistent quality. 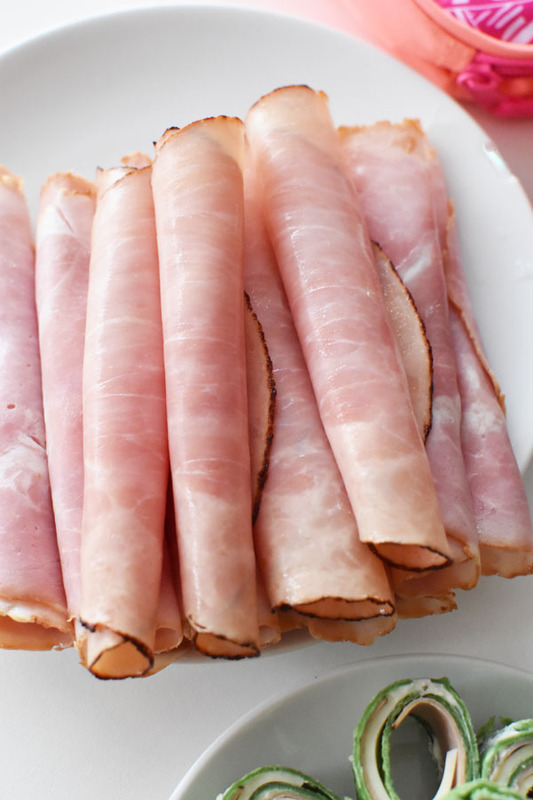 Their naturally smoked hams are gluten free, and contain natural juices. 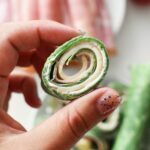 Speaking of Eckrich Deli Meats and Walmart, Eckrich Deli Meats are making it easy to get your deli meat at your local Walmart – enter for a chance to win a $100 Walmart gift card! 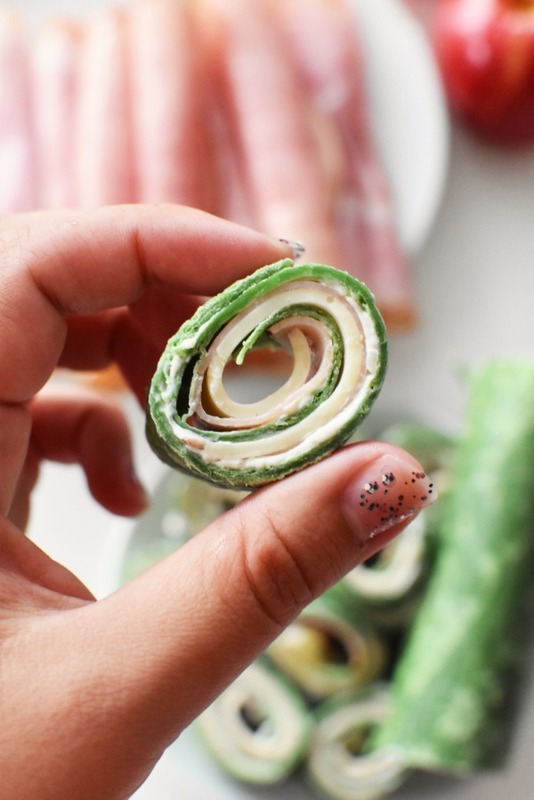 These Savory Ham & Cheese Pinwheels were so good, and guess what? My little man actually likes them! 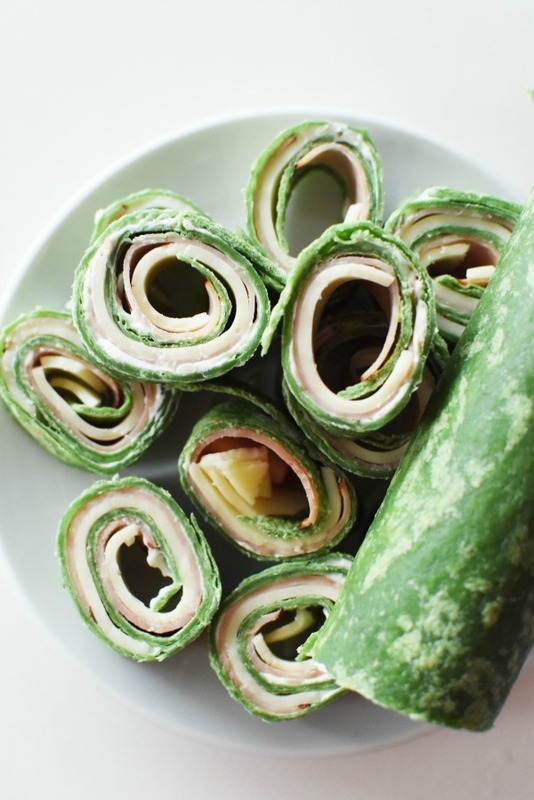 He loves how the Eckrich Deli Meats Ham and American Cheese swirl in between the green wrap- like a “squiggle design”. 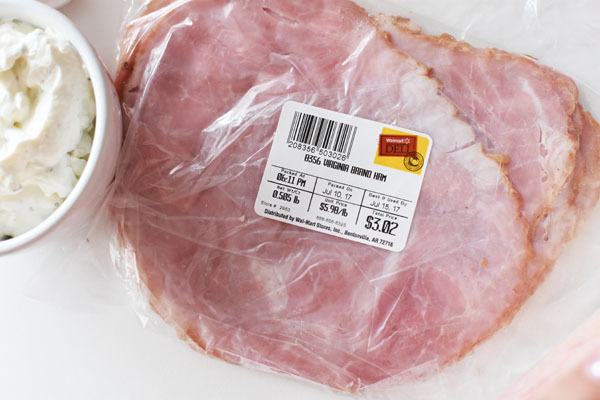 Eckrich Deli Meat Ham You can use your favorite variety. Plastic Wrap & butter knife. 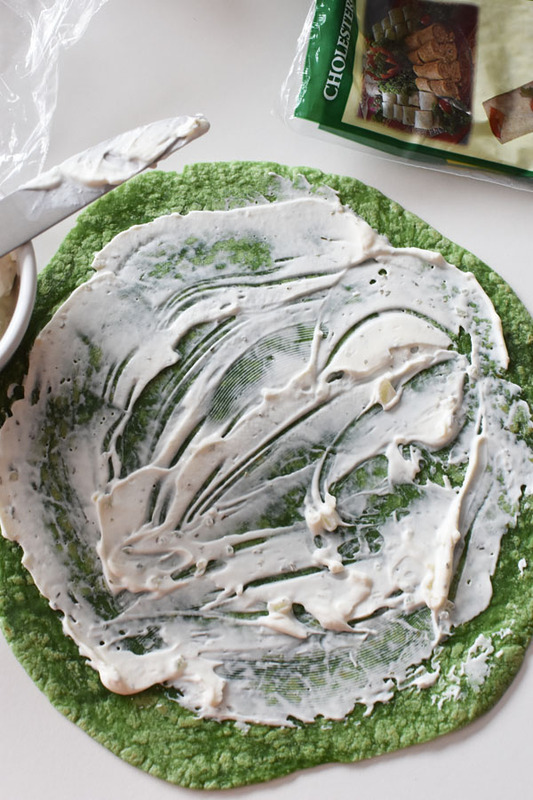 Spread French Onion Dip over each wrap. You do not want to over do it- a thin layer is good! Place in the fridge for 30 mins. 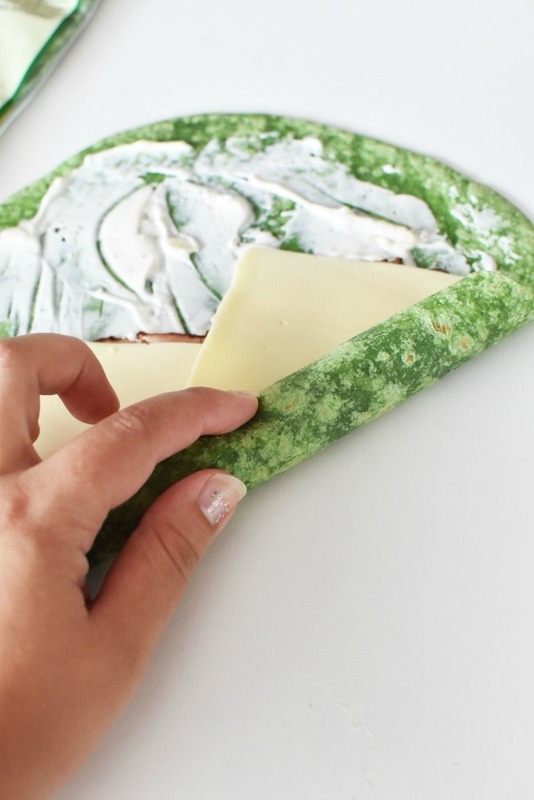 Using a serrated bread knife cut about 1/2 inch of each wrap and discard. 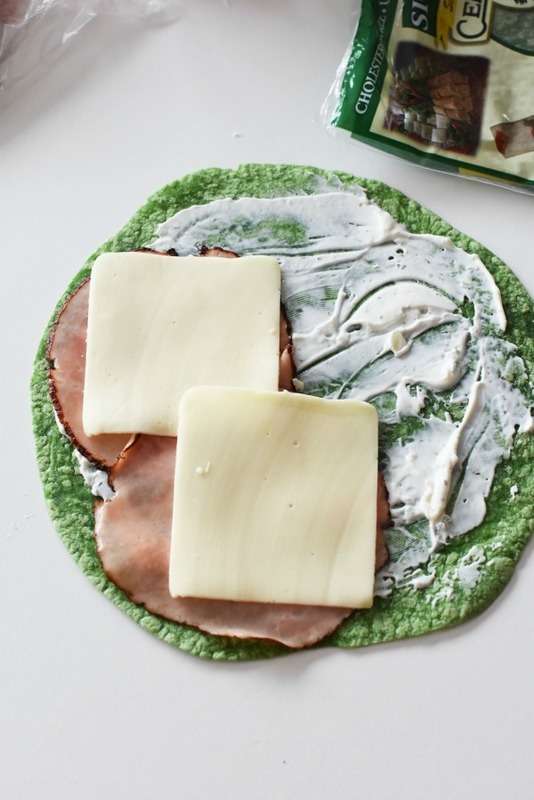 These wraps are so easy to make that my older two kids can pitch in to help make their lunches the night before! I love how tasty the Eckrich Deli Meats Hams are, and Eckrich Deli Meats even offers a full line of deli meats across many different proteins. I have not had pimento loaf in years, but I need to try the Eckrich Deli Meats variety! Pin this to your back to school lunch ideas board! What are some twists on classics that you will be making this back to school season?